As soon as the clock hit zero, the uncertainty kicked in. While Ohio State was celebrating its 8th national championship, the Oregon Ducks walked off the AT&T Stadium field with their heads down. The Ducks soared all season long, overcame multiple injuries, and their quarterback carried them like no other Oregon quarterback had ever done before. But in the end, it just wasn’t enough. Did the Ducks championship window close? How will they replace a multitude of players that were pillars for the program? Those questions have been at the forefront of national chatter for nearly three months now. Not only did the Ducks lose Marcus Mariota – who was the program’s first Heisman winner — to the NFL Draft, but they also saw the departure of three other all-Americans. 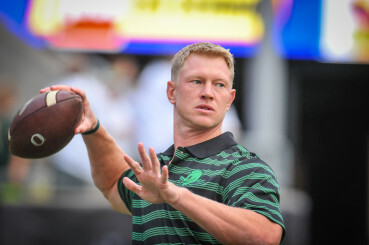 Scott Frost believes that the Ducks will bounce back from that tough loss to Ohio State. 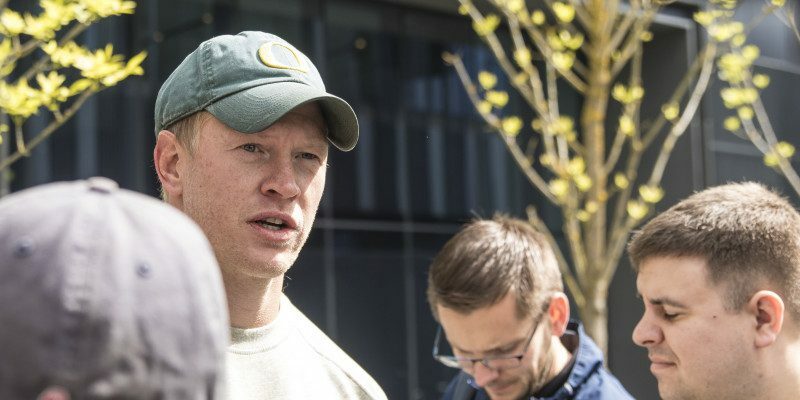 While some national media members have already jumped off the Oregon bandwagon, Scott Frost – the Ducks offensive coordinator — believes that the program has what it takes to bounce back. Despite the fact that the Ducks will not posses the same household names next season like they have in the past, Oregon’s coaching staff is confident that the core group of young players that will return next year will have what it takes to keep the Ducks winning tradition alive. Quarterbacks Ty Griffin and Taylor Alie have made huge strides this spring, and the evolution of Evan Baylis and Johnny Mundt at the tight end position has caught Frost’s attention, as well. It’s only the middle of April, but coach Frost and the rest of Oregon’s coaching staff is feeling confident about next season.